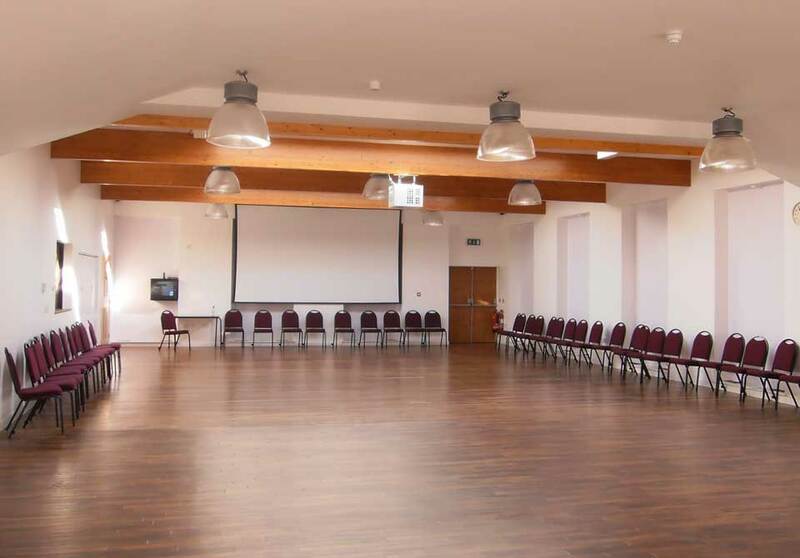 The hall is licensed for 200 persons and has a sprung dance floor. It can be used for meetings, exhibitions, parties, wedding receptions etc. There is an audio and cinema system including a hearing loop system. The Hall is 19 metres x 10 metres, 190 square metres. It is possible to seat 250 for shows, talks, lectures etc. and a maximum of 200 for sit down meals. The Kitchen is 4.5 metres x 4.4 metres, 20 square metres. The Lounge is 10.5 metres x 6 metres, 63 square metres. Capacity: 60 persons, seated at tables 45 persons. 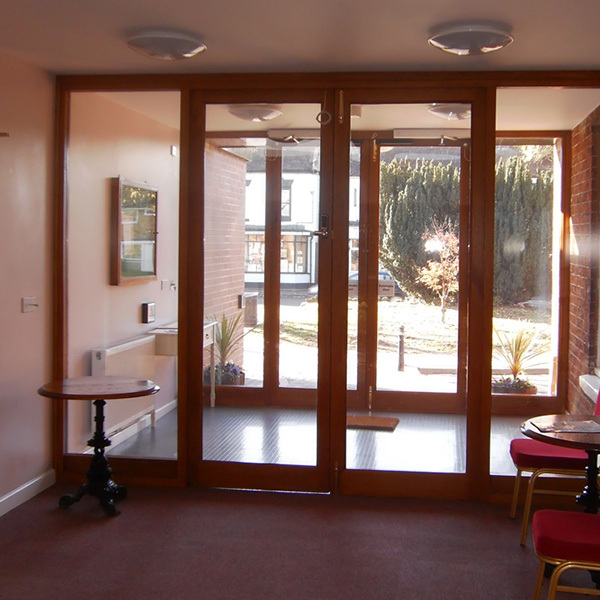 The Foyer contains a fully licenced bar with access to the Hall, Lounge, Kitchen and Toilets. This Meeting Room is 4.7 metres x 4.4 metres, 20 square metres and is equipped with tables and chairs, suitable for 20 persons or seated at table 16 persons. Duration 12 hours including setup & clearing up times. (Cleaning included in the quoted price). Duration 8 hours including setup & clearing up times. (Cleaning included in the quoted price). For further information please contact our manager, Mandy Medlyn by telephone: 01902 373605 if the phone is unattended please leave a message and we will contact you.